Do you work in a profession where you need to rely on UV lights to get your job done? Are you having a hard time finding a UV light that you can rely on? Even if you feel like you are out of options, rest assured that the best UV flashlight is out there. The best UV flashlights aren’t always the ones that have the most features or cost the most money. Sometimes the best UV flashlights are the smallest ones that allow you to get your job done. To find out what we consider the best UV flashlight, just keep reading. We have all used UV lights at least once, most likely in the form of a black light for some form of entertainment. UV lights are also used for spotting counterfeit bills. US currency above a $1 has vertical bands that fluoresce under UV light. The paper used for currency does not contain optical brighteners. Lacking the brighteners, authentic bills will not fluoresce under UV light. UV lights can do so much more than providing entertainment or spot fake currency. When buying any kind of flashlight it is important to know what to look for. Different flashlights have different purposes. What you look for in the best EDC flashlight will not be the same thing you look for in UV flashlights. No matter what style of light you are looking for, you want to make sure it offers quality construction. You want a light manufactured from high-quality materials. One that isn’t going to fall apart the first time you use it. Power is something else that you will need to consider when buying a UV light. UV lights need to have a lot of power behind them because the bulbs themselves are not as efficient. Law enforcement personnel use UV flashlights for forensic purposes. Different fluids will fluoresce under the presence of a UV light. Blood does not glow under UV light it turns black. UV lights are great at detecting pet urine. Any urine left behind on any surface will immediately fluoresce. UV flashlights are used indoors, but they can also be quite useful in the outdoors. Fishing can be great fun until you can’t find your lures in the dark. UV flashlight will help you find lures without destroying your night vision. These lights can also be used in mineral hunting, scorpion hunting, and strangely enough in disc golf. UV wavelengths range from 10nm to 400nm, which is shorter than visible light. The human eye cannot see anything below 385nm as eyes lack the color receptors needed to see UV rays. Not being able to see UV rays makes UV lights a necessity. When selecting a UV light you need to consider the wavelength, as different things glow under different wavelengths. To get the most out of your UV light you will want to find one that offers a shorter wavelength. The shorter the wavelength offered the better items will fluoresce under the light. 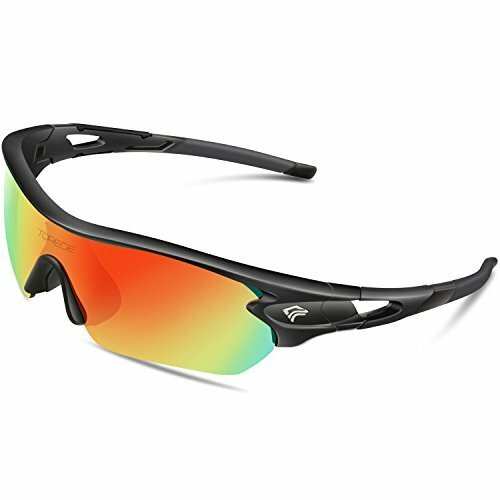 The Torege UV 400 Polarized Glasses are sports sunglasses designed for all outdoor activities. The glasses come with five different colored shatterproof lenses suited for different environments. Switching out lenses is easy. Everything will snap into place if you start with the middle piece that sits over the nose. The fully adjustable nose piece is padded for extra comfort. The arms, spectacles frame, and sports belt are entirely removable. The glasses come with a carrying case with a molded section to protect the extra lenses when they are not in use. 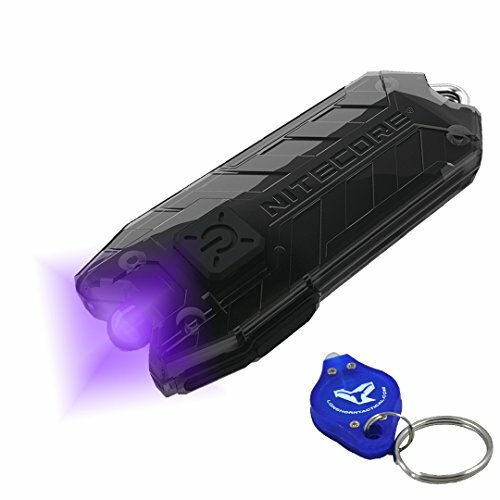 The Nitecore Tube UV provides you with 500mW of power with a 365nm wavelength UV LED. The Nitecore Tube UV is not a very bright light; you will not be able to use it for activities like scorpion hunting. The light is designed more for up close work, such as verifying currency or checking IDs. The polycarbonate housing has been tested to be impact resistant up to about five feet. The Nitecore Tube UV is not the biggest or most powerful UV light on the market, but it is a reasonably priced light that does exactly what it’s supposed to do. 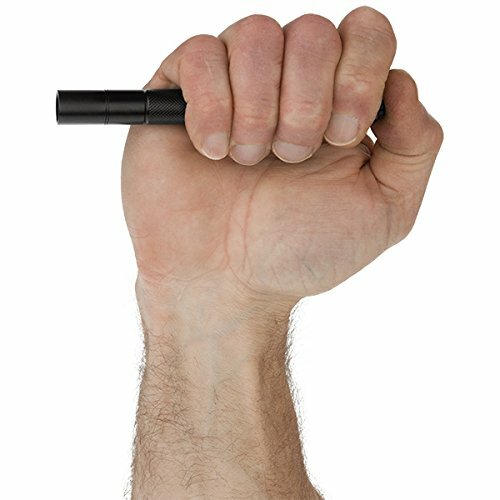 The Nightstick Mini-TAC UV is the best budget-priced UV light for tactical, outdoor, and recreational activities. The Mini-TAC UV has been safety tested and has been shown to be durable enough for most situation. The light only produces so much illumination, so the darker the area the better. Made and designed in the USA the Mini-TAC UV offers users a water-resistant design and is powered by two AA batteries. If you are looking for a high-quality UV light that does it all the Nitecore CU6 is our favorite choice. The CU6 can be used for a wide range of activities, such as scorpion hunting, rodent control, and forensics. The CREE XP-G2 LED emits up to 440 lumens of cool white light that also features a strobe and police function. The Nitecore CU6 uses dual side switches to independently control the color LEDs and the white light. Using two CR123A batteries the light will run up to 400 hours at 1 lumen or 1 hour and 45 minutes at 440 lumens. Even if your line of work doesn’t require it, at some point in time we all find a UV light to be quite useful. If you want the best UV flashlight you want one made from high-quality materials with a wavelength of 365 NM and plenty of power. We have provided you with the details for several different UV flashlights. XQ-HD UV 400 Polarized Glasses, Nitecore Tube UV, and Nightstick Mini-TAC UV are excellent options and meet all of the requirements for a UV flashlight. These lights and glasses will give you everything that you need, Nitecore CU6 offers all of that and more like the two main LEDS that provide UV light and 5 brightness levels of ordinary white light. We have given you all of the information that you need to go out and purchase the best UV flashlight, so what are you waiting for, go out and purchase one today! Thank you for visiting BestTacticalFlashlights.net. 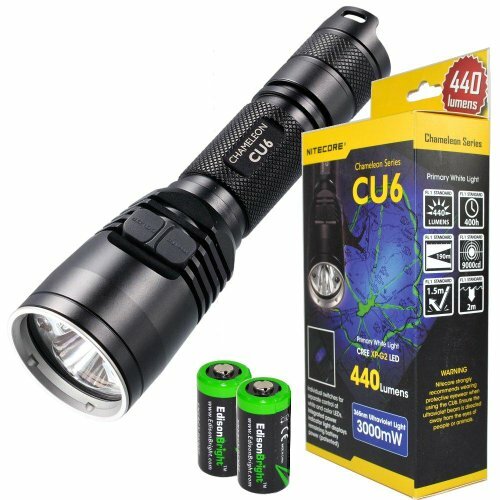 If you like any of the flashlights that you see in this article, please click on one of the Buy Now buttons to make your purchase on Amazon. As an Amazon affiliate, we make a small commission off any purchase made from a click through from our website, which is how we are able to provide you with these informative articles. You will not pay more on Amazon by clicking through our website because the price is the same as if you go to Amazon directly. Please take a look at our other Best Flashlight Buyers Guides for all your flashlight needs.